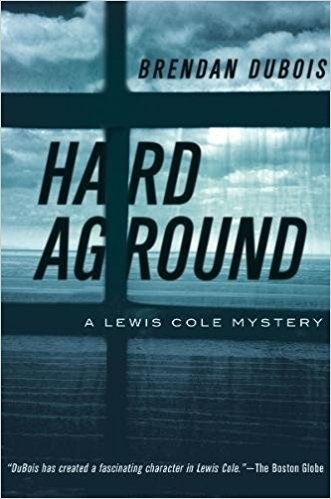 The latest in the Lewis Cole series! Although this book is volume 11 in this series, it is my first experience with Lewis Cole. Cole has been a DOD agent, a reporter for a magazine, and currently recovering from surgery. He has reconnected with journalist Paula Quinn but is still haunted by the loss of former love Cissy Manning, killed while they were on a mission for the DOD. The incident that left Cissy dead had left Lewis with reoccurring tumors, hence the operation. While convalescing, Lewis is being cared for by Paula and friends Felix Tinios, Detective Sergeant Diane Woods, and a waitress named Mia arranged by Felix. The house that Cole lives in was once owned by the DOD, used for various purposes, and was given to Cole due to the awful mission that left Cole the sole survivor and killed Cissy Manning. It has apparently gone through rough times and it is mentioned that it is being repaired from arson. Now an elderly neighbor lady has been murdered with a shotgun, someone is creeping around Cole’s house in the night and a man and woman seem desperate to get into the place citing genealogy! Cole is threatened, stalked, and harassed. A new heroin dealer whose packets of drugs have a bluebird on them is somehow involved. Felix is angry and after someone for stealing a family heirloom. In other words, all hell is beginning to break loose! I found the book a great read. With the final tie-up of the many threads, there were a few surprises I wasn’t expecting. The characters are well developed and the pace is steady, neither too fast nor too slow. Cole the central character is portrayed as a man who doesn’t faint under pressure. He is well armed and prepared to defend himself, his property, and his friend by any means necessary. His instincts are what gives him the advantage in the end, and his reporter’s insight gives him the answer to his last question. The book is well worth reading.